Part-III deals with the aspect of moderation in eating habits. In addition Bhagawan gives several simple yet very significant tips on dietary habits. There are 6 excerpts from Bhagawan’s Discourses on moderation in eating and other dietary tips; presented in this posting. These excerpts have been selected from Discourses given by Bhagawan Baba in the years 1990, 1994, 1996, and 2007. 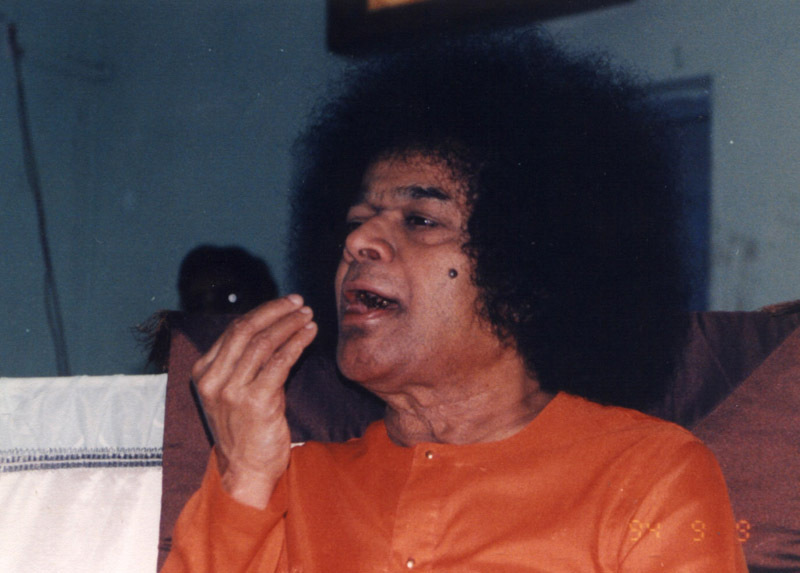 In Clip-1, Bhagawan stresses on the need for moderation in eating as well as talking. He says, one should stop eating even when one still has the feeling that one can eat some more. Clip-2 reminds us of Lord Buddha’s gudielines on the principle of moderation. 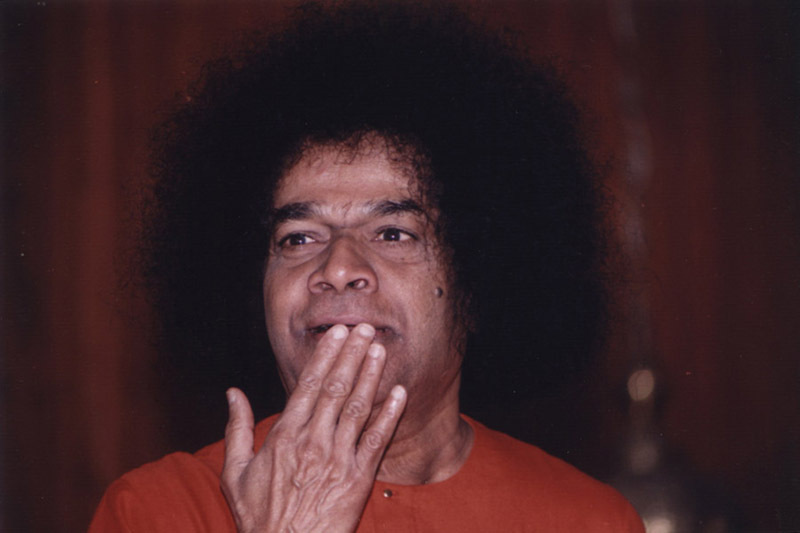 Bhagawan also points out the harmful effects of eating meat, fatty foods and consuming alcohol. In Clip-3, Bhagawan gives the definition of a Yogi, Bhogi and a Rogi. He also provides details on the desirable calorie intake for leading a happy and healthy life. Clip-4 gives the relationship between food, mind, thoughts, conduct and health. Bhagawan points out how Worry, Hurry and Curry (fatty foods) are the root causes of cardiac ailments. He also gives examples of how some people consume less food but the calorie value is very high. He illustrates this point with the examples of consumption of pappad and ghee. 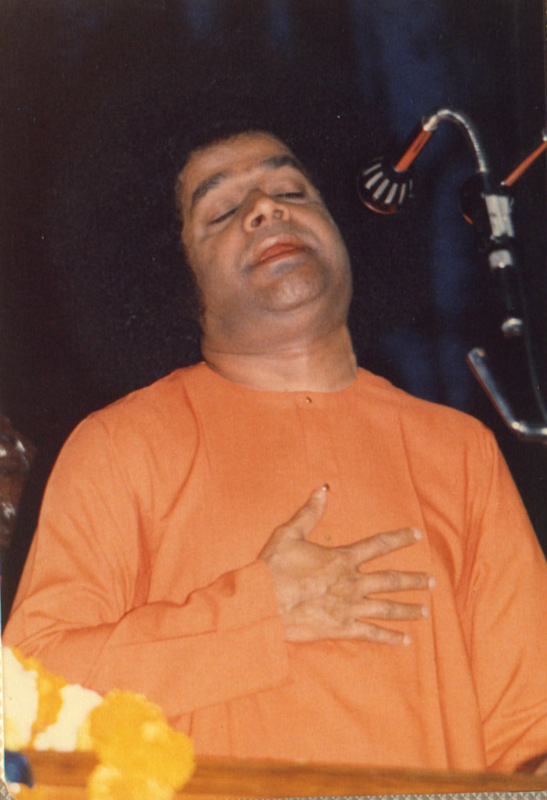 In Clip-5, Bhagawan advises restraint in consumption of meat, fish, cheese, milk and curd. Finally, Clip-6 is about Bhagawan Himself. 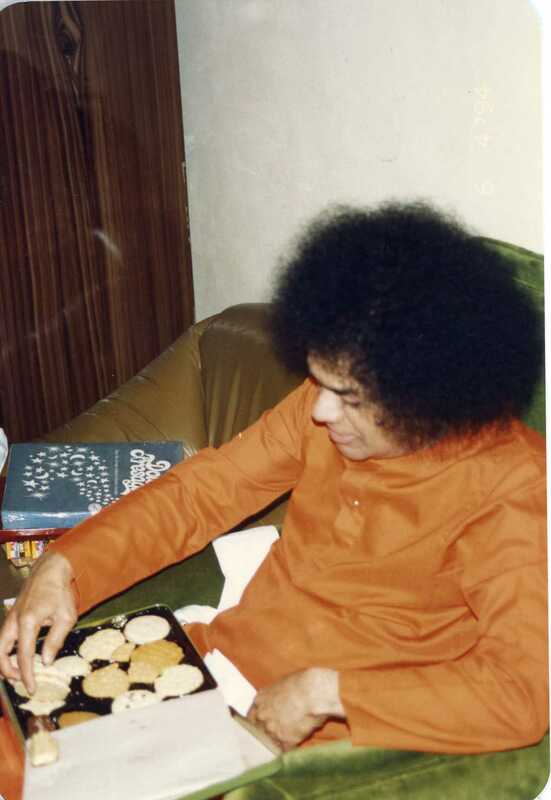 Bhagawan gives His own example to show how moderation and discipline in eating habits can keep one always healthy and trim. Students should get into the world, and transform all the restlessness that is troubling the people, into peace. Develop restraint in your talk. We do not need excessive talk. Ati Bhaashaa Mati Hani, Mita Bhaashaa Ati Hayi – Excessive talk will make you mad (lose your mind); Restraint in talk will lead to happiness and welfare. Similarly, Ati Tindi Mati Hani, Mita Tindi Ati Hayi – Eating too much will make you mad (lose your mind); Restraint in food will lead to happiness and welfare. If you simply keep on eating till you get a full throated belching, then what work can you do? You must stop eating when you still have the feeling that you can eat some more. If you eat excessively, you can neither do any work, nor can you achieve success. Thus talk within limits, eat within limits. Work more and experience more joy. You may undertake any activity, but never forget the name of God! Embodiments of Divine Atma! It is essential to observe the principle of moderation in food habits, daily conduct, work and sleep. The Buddha preached the same principle of moderation to his disciples. “Be always moderate, never indulge in excess,” proclaimed the Buddha. In fact, moderation is the royal road to happiness. Excesses in any field of activity will lead to lack of peace. Today, man does not exercise any moderation in his eating habits. On account of eating whatever and wherever he gets anything, he loses his good health. Man spends his entire time in filling his stomach only. On account of this, not only does man lose his health but his digestive system also gets damaged. Food is very necessary for good health. The food consumed by man should be proper, pure and wholesome. Apart from this man also consumes food with lot of fat content. Large content of fat leads to toxicity in the body. Consequently, man suffers from a number of toxicity related diseases. This toxicity also affects the mind of man and leads to his downfall to some extent. Man should not eat excess of fatty foods. Meat and alcoholic drinks too take a heavy toll on man's health, causing many a disease in him. It is atrocious that men today are experiencing ignorance that is making them behave in a manner that is against human nature. Their mind is becoming worse than those of wild animals in the forest. They have become cruel, pitiless, hard-hearted and are hurting others. There is no interpersonal relationship and understanding between man and man. The main reason for this condition is the kind of food that is consumed. Students! Be careful about the food you eat. Enquire as to what type of food will give you health and happiness. The ancients used to eat twice a day. The Rishis and sages used to eat only once a day. They declared that the man who eats only once is a Yogi (God-centred person), the one who eats twice a day is a Bhogi (enjoyer) and the one that eats thrice a day is a Rogi (a sick man). Today, not just thrice; people go on consuming food at all times, not to mention drinks, coffee and snacks in between. Thus when the inert body with an impaired digestive system is overfed with all such varieties of food, what else can one expect other than the onset of indigestion? Every minute one calorie is digested and consumed by the body. Youth can partake upto 2000 calories of food per day. If you wish to enjoy a very good balance, then 1500 calories a day would be sufficient for retaining good health. But today, many consume 4000 to 5000 calories of food per day! This leads to sleeplessness. Lack of sleep leads to perverted feelings. These perverted feelings make man forget his true form and nature. He becomes a victim of diseases too. Thus maintain the body within limits to the extent possible. Nurture good health and discharge your duties and responsibilities on the right path. Also, do not develop excessive attachment to the physical body. Today man is becoming a victim of limitless desires. The food that man eats has also got to be Satvic in nature. Apart from intoxicants like non-vegetarian food, alcohol and cigarettes; living on ill-gotten money also causes ill-health to some extent. Living on earnings got by unjust means causes many unknown diseases to take root in us. It is said in Hindi “Jaise Anna Vaise Man” (as is the food, so is the mind). As is the conduct, so is the health. Therefore our conduct has to be appropriate. Man today is a victim of worry. What is the cause of this worry? The poor man also worries and the rich man also worries. Lack of contentment is the cause of worry. The rich man is not contented in spite of the accumulation of wealth. The one who is discontented will always suffer losses. Even while eating food, he keeps worrying. Worry causes hurry and both together bring about ill-health. So, Worry, Hurry and Curry (fatty foods) are the root causes of cardiac ailments. The consumption of large quantities of fat is the cause of cardiovascular diseases. Doctors advise against the consumption of fatty food stuffs which cause increase in weight, resulting in susceptibility to cardiac diseases. The presence of toxins in blood also inflicts equal damage. So one should eat in moderate quantity the right type of food and avoid intoxicating drinks to safeguard his health. Therefore, man should place a restraint on his food to protect his health. The intake of food should be gradually reduced after crossing 50 years. Some people consume less food but the calorie value is very high. The calorie intake must also be limited. This helps in keeping away cardiac diseases, paralysis and eye cataract. Some people consume food indiscriminately, unmindful of the caloric content of the food taken. For example, people eat pappads (thin circular flour preparations) fried in oil which have high calorie content. People also consume ghee which is also a high calorie food. A single pappad has 100-150 calories of energy. A single spoon of ghee has 100 calories of energy. Even when the quantity of food intake is reduced, the quality is high (reductions in the calorie content is not ensured). Therefore, this aspect also has to be kept in mind while eating food. Thus to protect one’s health, man has to consume limited and Satvic food that ensures welfare of the body. You must have your food at the right time. With regard to food, you have to know certain subtle things and observe some restrictions. You should not consume non-vegetarian food like meat and fish. In fact, foreigners are used to non-vegetarian food only. This type of food causes diseases like cancer. Hence, give up such food, totally. Not only that. They also like cheese very much. The more you consume cheese, the weaker you become. You should also not take milk in excess quantity. Too much milk is very bad. It should be in limit. The milk should be diluted with water in equal proportion. Same is the case with curd. We consider thick curd as very good. No, it should not be thick. It should be semi-solid. Thus, you have to control the food you eat daily. Proper control of food is very much necessary for contemplating on God. If you take proper food and observe discipline in your habits, you are sure to have God’s Darshan (Vision) at that very moment. You need not undertake rigorous sadhana for months and years. You can always be blissful. "My weight is always constant at 108 pounds"
How to lead a healthy life? Here is an example, whether you believe it or not. I am a witness to it. Since the last 54 years; now I am 68 years old; therefore from the age of 14 years; My weight has been constant at 108 pounds only. It never went up to 109 pounds nor came down to 107 pounds. You can lead a healthy life once you achieve this kind of balance and moderation. But doctors would not believe this. They say that if you do not eat well, the bones would get damaged. But that is not the case with Me. Why? My discipline is very strict. I never eat even a little bit excess. I observe the principle of moderation whether I am invited for food by a millionaire or a pauper. Even though I am sixty eight years, My body is in perfect trim! I do not suffer from aches and My heart is as sound as a rock. There is none who can work like Me and exert himself as much as I do! The secret of My sound health is My regulated food habits. This is how one has to achieve the unity and harmony of food, head and God. Today we are making many mistakes with respect to our food. If we modify our food habits, we can enjoy very good health. 01-What are the harmful effects of excessive eating and talking? 02-What are the benefits of practising moderation in eating? 03-How can we identify a Yogi, Bhogi and a Rogi? 04-What is the ideal calorie intake required for a youth to enjoy a happy and healthy life? 05-What is the root cause of cardiac ailments according to Bhagawan? 06-How many calories are contained in a Pappad and in a spoon full of ghee? 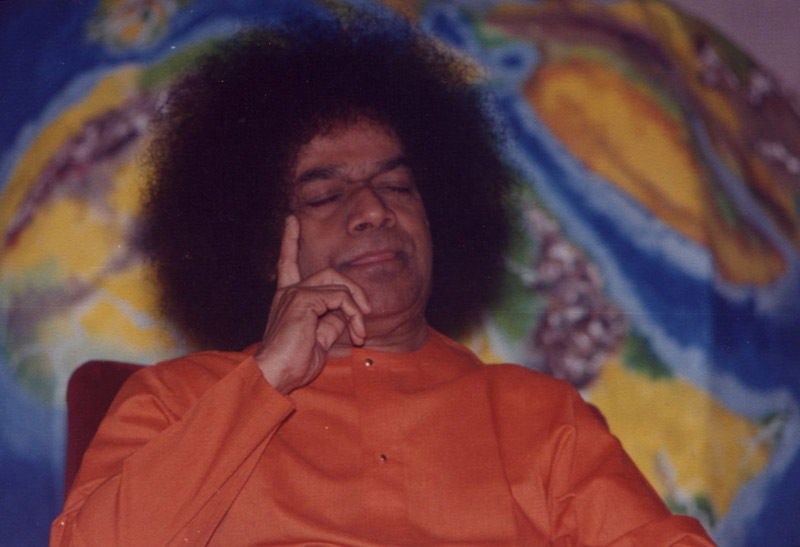 07-What is the advise Bhagawan gives with respect to consumption of cheese, milk and curd? 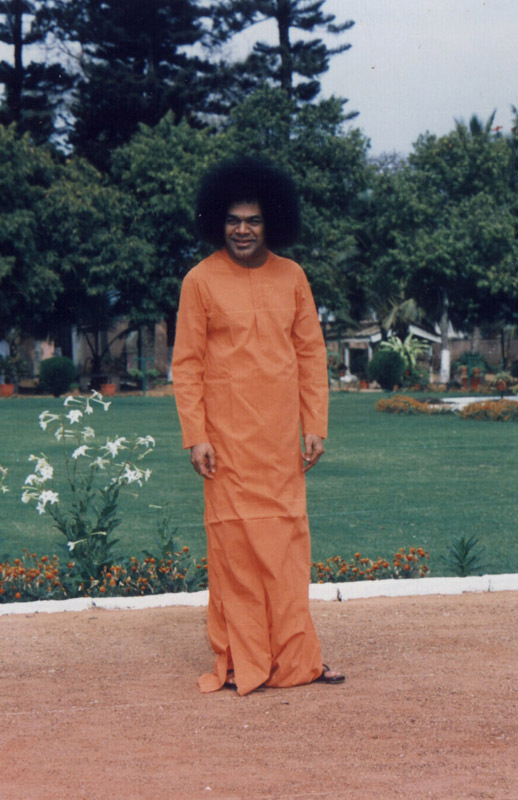 08-What has Bhagawan’s weight been since He was aged 14 years? 09-What is the secret of Bhagawan remaining healthy throughout his life? Now we are aware of the necessity for moderation in the food that we eat. We have also heard from Bhagawn several tips on consumption of different items of food. In the final post on this theme, we will listen to Bhagawan specifically talking about consumption of non-vegetarian food, alcohol and smoking of cigarettes; and their harmful effects in our life. Watch out for Guidelines on Dietary Habits - What, When and How to Eat - Part Four: Give up smoking, drinking and meat eating. Coming up very soon!